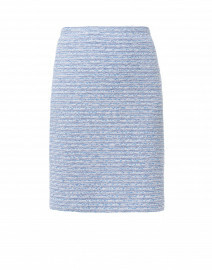 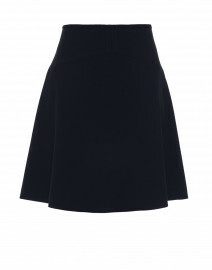 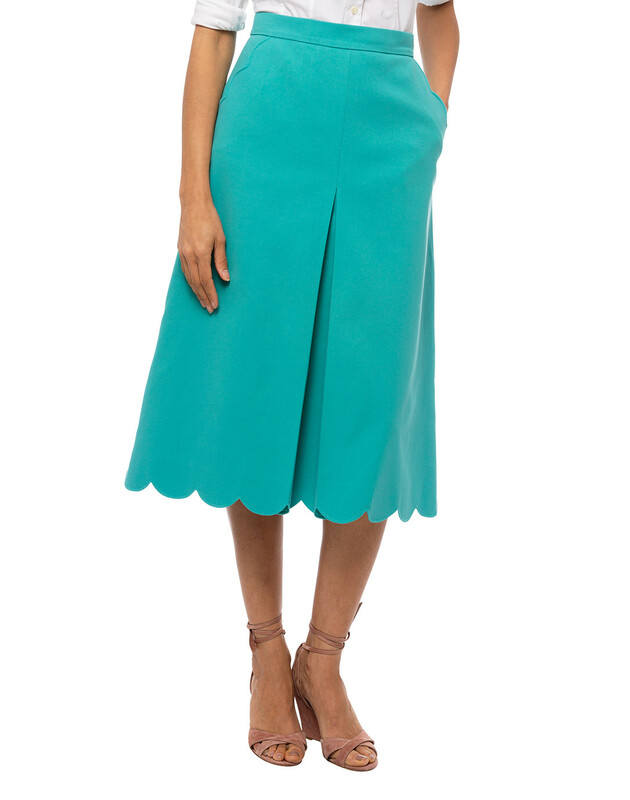 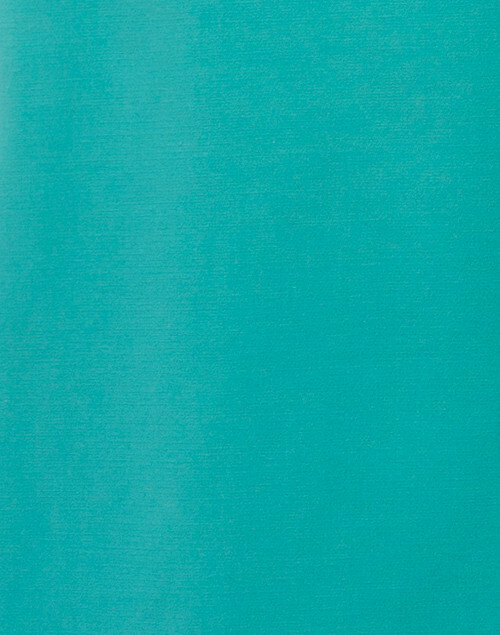 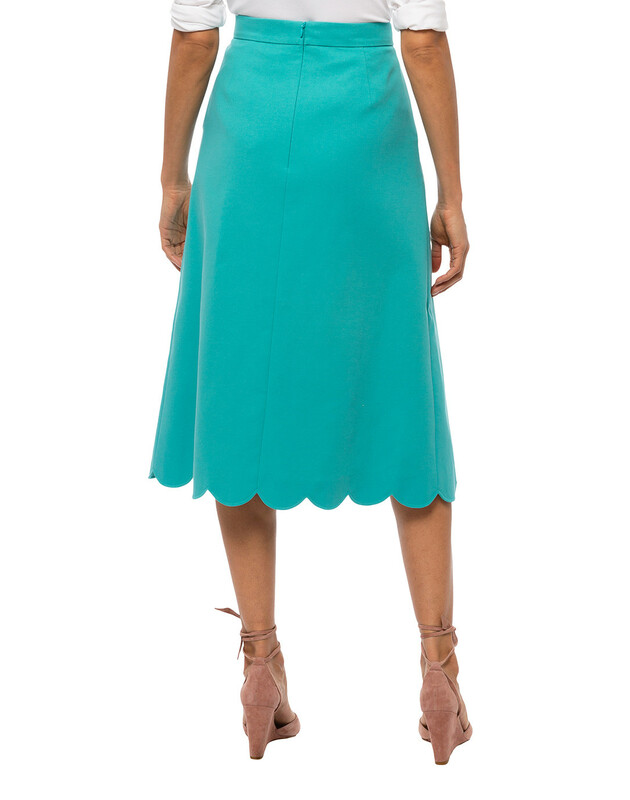 Inspired by vintage silhouettes, Escada's aqua Rocket skirt is cut to an A-line fit with scalloped trims. 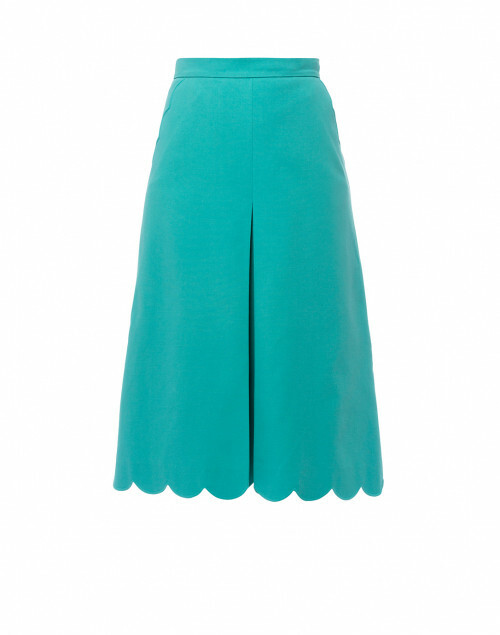 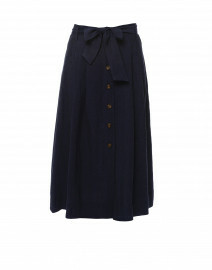 The breezy cotton-stretch design sits high at the waist for a lengthening effect. 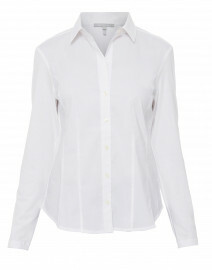 Pair it with a crisp white button down for an elegant and feminine look. 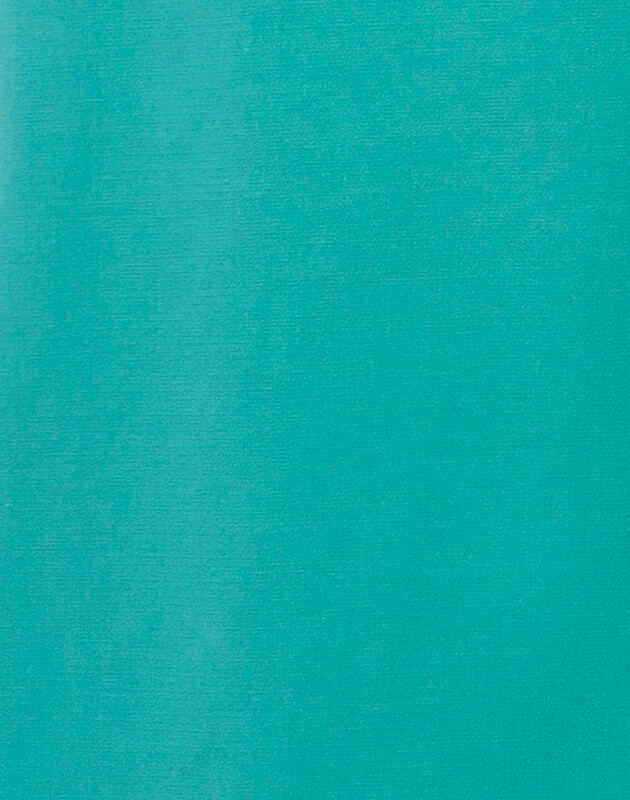 Hip 32" 33" 34" 36"